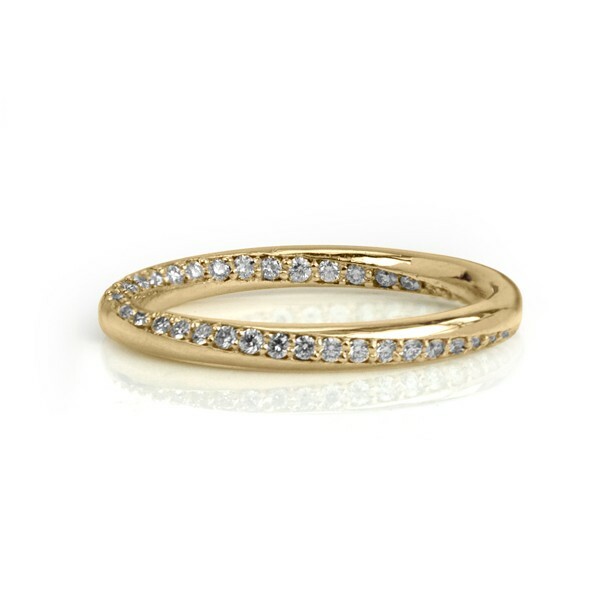 An Eternity Band with a twist! The diamonds in this ring spiral all the way around the band! Simple but different! Available in white gold, yellow gold, rose gold, green gold or platinum with diamonds or other gemstones (for other gemstones, please email [email protected]).